Have you ever wished you could go back and change something that happened in your life? For Chris Cameron, that’s not the case. 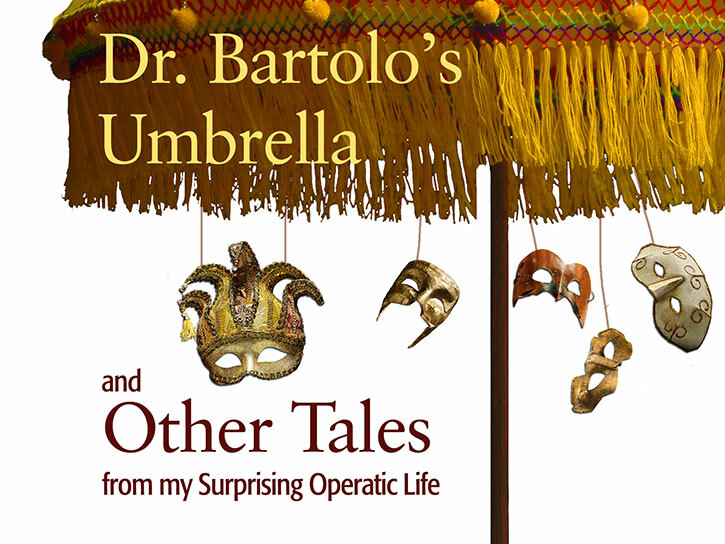 The opera singer, businessman turned editor/writer, who grew up in Scarborough, explains all of this in his memoir Dr. Bartolo’s Umbrella and Other Tales from My Surprising Operatic Life. The novel, released last year, features stories about his early days in the music business and what went on behind the scenes as he performed with the Canadian Opera Company and about opera in general. 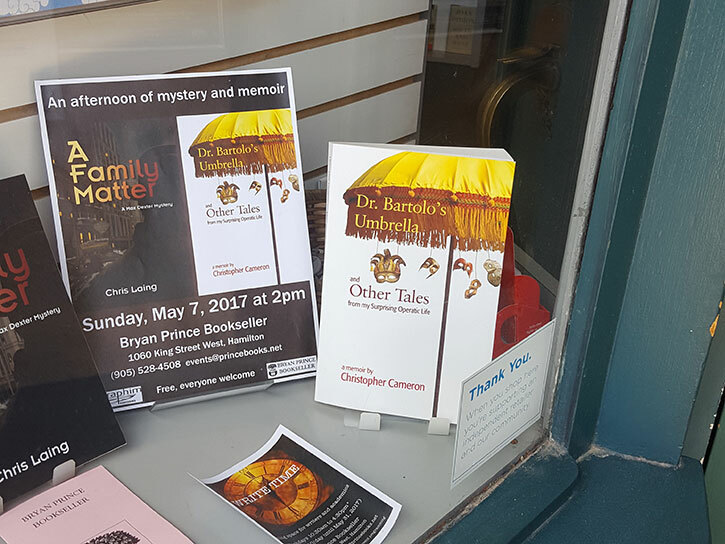 Chris always enjoyed writing but never dreamed his novel would be published. For him, it’s like winning the lottery. “It’s also about the idea that you can have absolutely no musical background but be good at it . It wasn’t something I set out to do but things can happen that you don’t expect and that you’re not looking for,” Chris explains. Chris retired from the business world in 2013, after working for Manulife Financial for many years, and decided it was time to write some of this material down and see if there was a real story there. 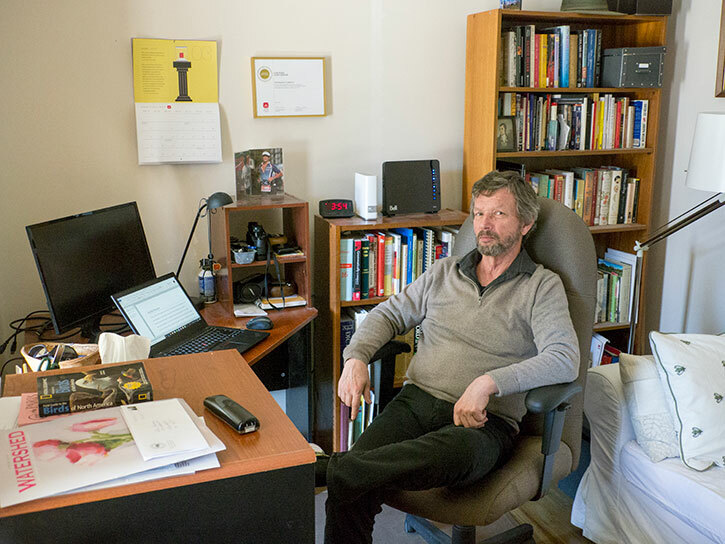 He had previously taken a memoir writing course at Ryerson University and started to slowly put it all together. The challenge during the actual writing process was deciding what kind of book this would be. Was it going to be a great tragedy about a man who had a musical career but doesn’t sing anymore? Or was it going to be about all the happy times he had? Chris thought about it and three and a half years ago had an epiphany. He loved being a singer the entire time he did it. He loved touring, performing live and, of course, all of the people he met and is still friends with. After that it pretty much wrote itself. Despite all the success, he knew nothing about the world of opera before he pursued it. He had performed in high school musicals but never heard or seen opera in his life. Chris managed to audition when he was 16 and get a job with the Canadian Opera Company and after hearing it, was simply enchanted by the entire art form. Once he decided to sing, he joined a youth choir in a church in north Toronto and finally at the age of 24 attended the Faculty of Music of Toronto to officially become an opera singer. Chris says everything fell into place for him to pursue music. His parents were thrilled when he discovered singing because it gave him something to focus on. “Almost everything that happened to me in my musical career came to me. It would have been even more successful if I had actually applied myself. If I could go back and talk to my 22 year-old self I’d say be a little more conscientious and don’t let it all come to you,” he says. He auditioned one time to get into the chorus and that was all he needed. While he was at opera school at U of T, the Company called to ask if there was someone who could fill in and learn a role quickly. They sent Chris over because they knew he could learn music quickly. He got the job and worked for the Company for 33 years all on the strength that he could read music. “One of the things I liked about live performing was the unknown. No matter how prepared you were or how much you practiced there was always a chance something wouldn’t go the way you wanted it to. It’s like a wedding. You plan every minute detail but something unexpected always happens,” Chris says. Once he decided to retire from those two ventures, he wanted to focus on writing. So he took a copy editing course at Ryerson University and before long found himself working on people’s manuscripts and scientific papers. 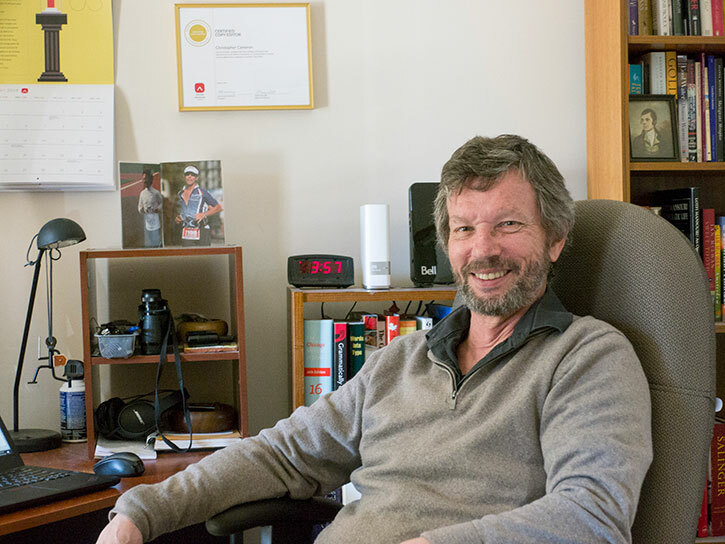 Chris spends his days editing, renovating his home and working on his second novel. Chris and his wife moved to Campbellford in 2017 and he is now living the dream.